You are here: Home / Healthy Aging / When Those Hot Flashes Aren’t Due to Menopause? When Those Hot Flashes Aren’t Due to Menopause? Though hot flashes and menopause are often associated to one another, this bothersome symptom experienced by some women may be precipitated by other ailments. While it’s true that these older age hot flashes are usually associated with menopause and perimenopause, here’s a look at common causes for hot flashes that have nothing to do with menopause, and what women can do about them. Hot flashes are defined as several symptoms associated with feeling a sudden burst of warmth overtaking the body. In many instances, one might notice a quick and escalating sensation of warmth on one or several areas of the skin resulting in redness and, at times, perspiration. Typically, the most common bodily region to be affected is the face. In addition, hot flashes tend to occur at night and often wake menopausal women from sleep. Under such circumstances, hot flashes are identified as night sweats, which could lead to significant sleep disturbances and fatigue. These manifestations are precipitated by the expansion of blood vessels directly underneath the skin’s surface. Though doctors and scientists cannot pinpoint the exact biological phenomenon that initiates this process, it is believed to be associated with brief circulation disruptions. On many occasions, these annoying, sometimes life-altering occurrences are the direct result of menopause or the onset of perimenopause, the naturally-occurring hormonal changes that occur during a woman’s late forties and early fifties. During this period, the impacted woman’s ovaries cease production of female reproductive and sexual hormones, which may precipitate numerous biological, emotional and mental symptoms of which hot flashes can be a prominent manifestation. That said, however, these problematic occurrences might be the result of other medical and environmental conditions. Believe it or not, anxiety or nervousness elicited by strong emotions, such as tension, fear or stress, can manifest in hot flashes. Curbing hot flashes associated with anxiety will hinge on developing relaxation techniques or eliminating the issues that precipitate anxiety to start with. Also known as hyperthyroidism, this condition occurs when the aforementioned gland produced excessive levels of the thyroid hormone. Numerous bodily manifestations can occur as a result, including flushed skin and increased perspiration. Hyperthyroidism can be controlled through prescription medications and, in severe instances, through surgery to remove the thyroid or the thyroid nodules responsible for secreting the excessive level of hormones. Alcohol consumption can cause a variety of symptoms. Among these symptoms alcohol can cause is the dilation of the blood vessels while results in hot, flushed skin and sweating. If consuming alcoholic beverages precipitates such occurrences, it might be advisable to limit intake of alcoholic beverages or stop drinking altogether. Numerous ailments that elicit hormonal imbalances might result in body temperature fluctuations and result in hot flashes. The key to solving this issue and putting a stop to this and other symptoms rests in identifying and controlling the particular hormonal imbalance. We rely on medications to help aid in our physical maladies, however, in some instances, medications may actually precipitate hot flashes. 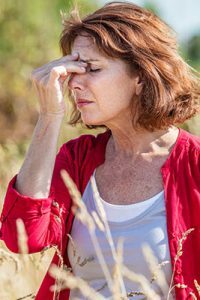 If such symptoms begin shortly after beginning a therapeutic protocol with a specific drug, changing dosages or finding a different medication may help eliminate the associated hot flashes. Sometimes, cancers, especially malignancies that impact the body’s metabolic system, might result in body temperature irregularities that manifest in hot flashes. Identifying and treating the particular cancer might prove effective in eliminating the hot flashes that these diseases cause. In addition to certain cancers, hot flashes may also be a precursor to diabetes. A study published by the journal of the North American Menopause Society (NAMS) confirmed the theory that hot flashes could indicate the development of an inability of the body to properly process sugar which leads us to the impact of our diet on causing hot flashes. As we know, our diet plays a key role in determining how we feel. Occasionally, the chemicals contained within certain foods might precipitate hot flashes. This is especially true with products containing substances like caffeine, sulfites and sugar, which can stimulate the heart and cardiovascular system if consumed in excess or by sensitive individuals. Typically, hot flashes are not indicative of a serious medical condition. However, if they occur in a younger woman, appear suddenly or happen frequently, a visit to a medical professional may be warranted. 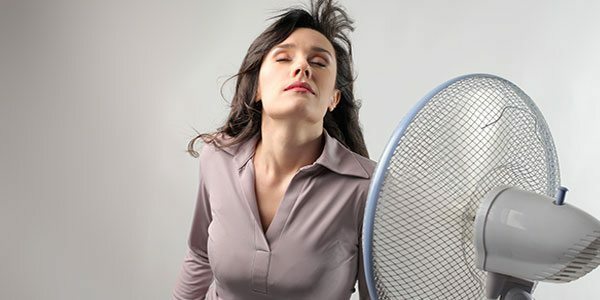 Even if presented in a mild form or caused by relatively benign conditions, hot flashes are at the very least bothersome and could result in life-altering problems such as major sleep disturbances. A healthcare provider can help a woman identify the cause and initiate an appropriate course of treatment.